Yesterday, I launched a simple platform for people who loves to travel. Wanderhunt aims to fuel up everyone’s wanderlust. 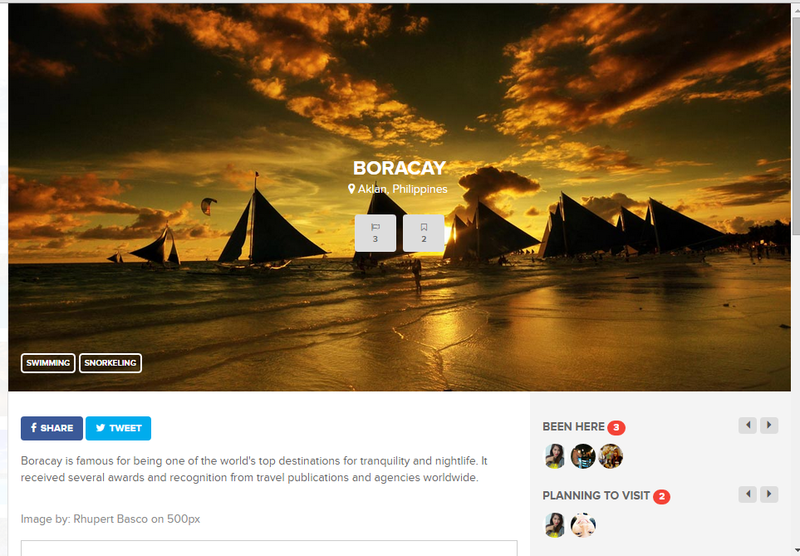 Its main goal is to provide users an easy way to discover and share beautiful places to travel. Most of us have already been traveling to several places and still searching for more places to explore. Planning a trip usually consumes a lot of time and effort to the user, but with Wanderhunt, planning your next trip will be easy and effortless. No more complex research and googling for details about the place your planning to go. 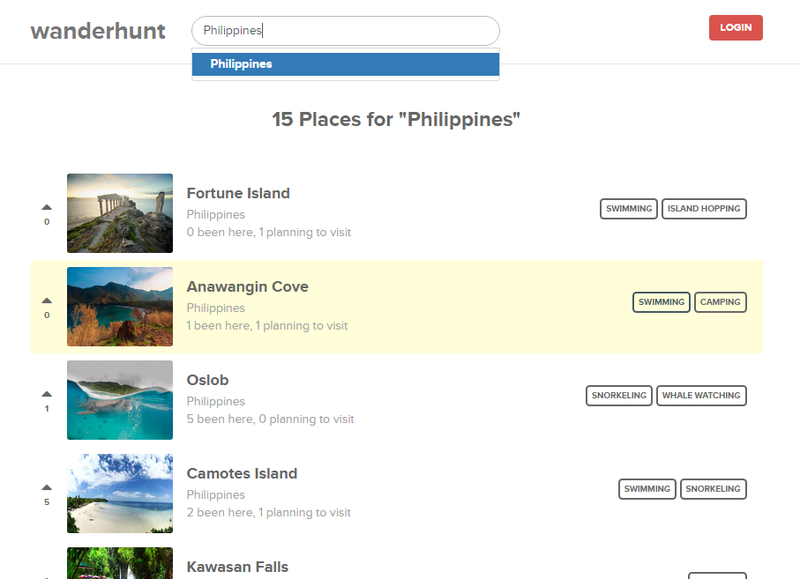 Wanderhunt provides you most of the common details you usually research all gathered in one place. 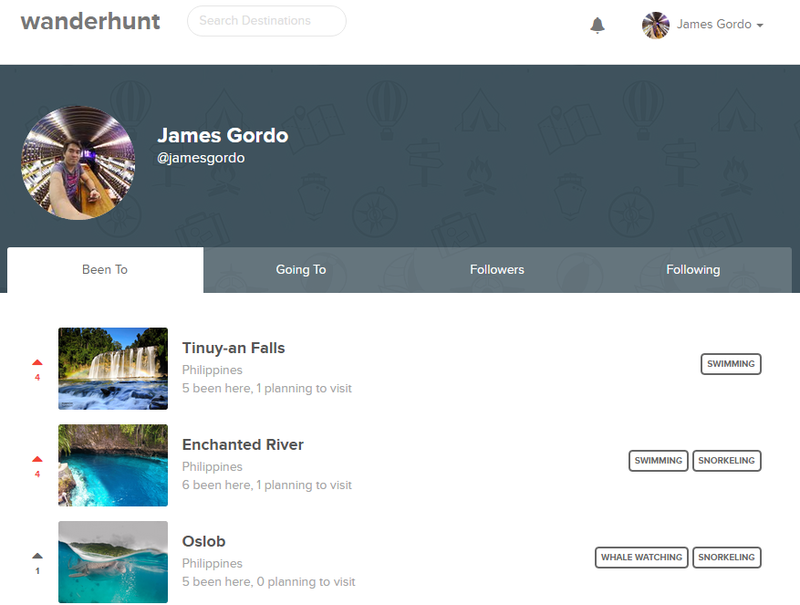 Every destination listed in Wanderhunt have useful details like usual activities/things to do in that place, list of other people who already visited the place, people planning to visit and hotel/accommodations nearby. Like any other social media platform, you can also follow other users to know where they are planning to go, where they have already been, and ask advice and recommendations by mentioning them in the comments section. 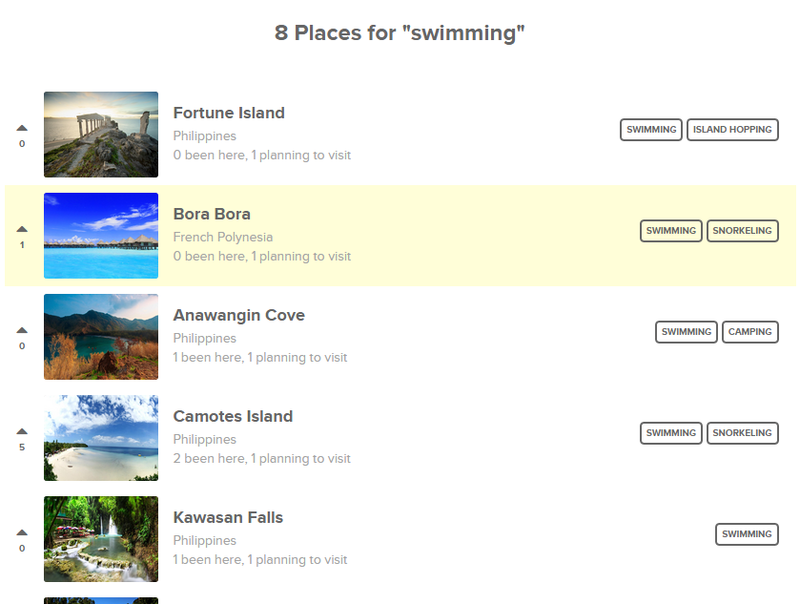 Users can mark places they have been to by clicking the button with the Flag Icon, and mark places your planning to visit by clicking the button with a Bookmark Icon. You can also click the button with the Arrow Up Icon beside the thumbnail to vote/recommend the place and making it appear on the top of the site. The places you mark will all be reflected to your profile. You can also search and sort destinations by typing the region/country in the search box or by clicking the activity boxes. 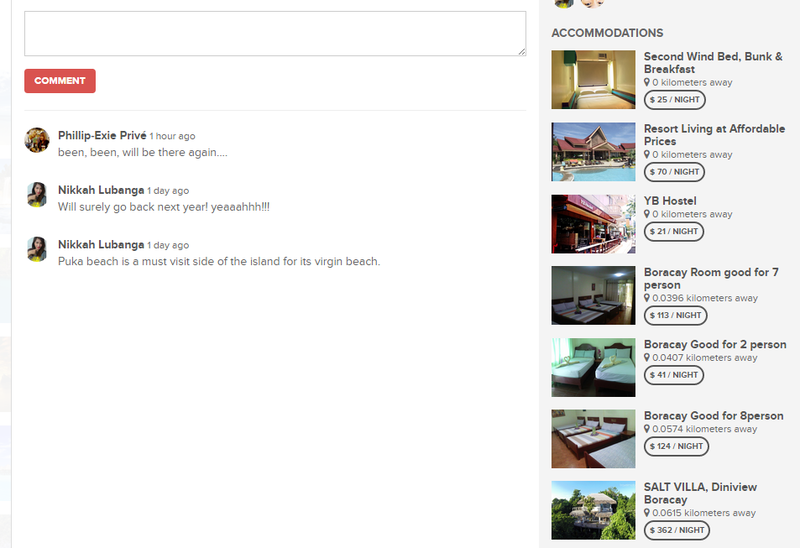 If you want to experience it, you can login to Wanderhunt using either your Facebook or Twitter account. It’s totally FREE. Since Wanderhunt is still in its beta version and was coded all by myself, it may lack some features you want and have some bugs, but I will do my best to make the system evolve from time to time to provide users the best experience. The list of places will continue to grow and if you want to suggest places, you can tweet it to @wanderhunt in twitter, or post it to Wanderhunt’s Facebook Page. You can also send an email to [email protected]. If you have some ideas of features you want to see and implemented on the site, you can comment it below or tweet it to @wanderhunt in twitter. Meanwhile, you can like and follow on Twitter and Facebook to keep updated.